Gossip and Goodies: Free photo book today only! 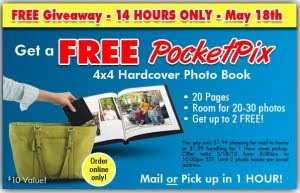 Today only from 8 am to 10 pm you can request your free photo book from ritz pix. You do need to pay shipping - $1.99.